Visit our Facebook page for our latest News & Events! Shuttle Service available for Good Friday Service from Hankyu Rokko at 7:10 pm. 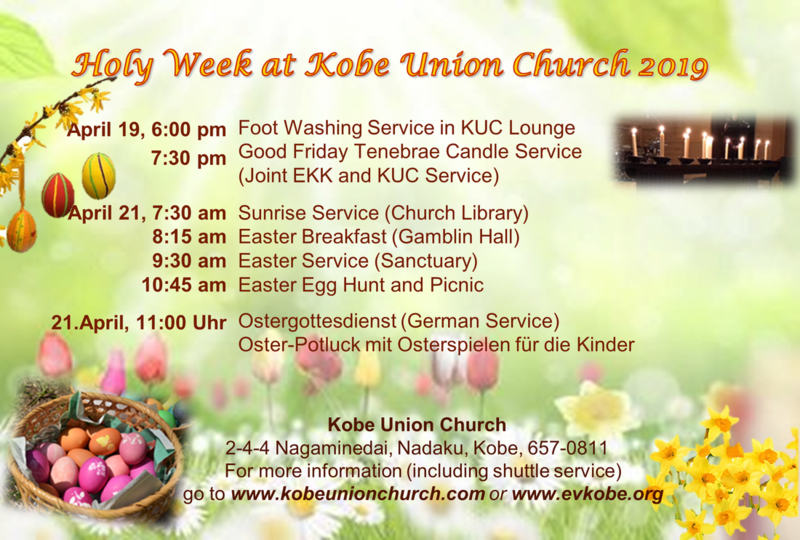 Before the 7:30 PM Tenebrae Service, there is a Foot Washing Service and Communion Service from 6:00PM to 6:30 PM in KUC Lounge. Shuttle Service available for Sunrise and Easter Service from JR Rokkomichi and Hankyu Rokko. A mix of both contemporary music and hymns, along with positive, challenging and relevant Bible teaching. We offer simultaneous Japanese translation in the service. We have an excellent nursery and children's worship program. Please join us for refreshments (tea, coffee, cold drinks) after the service downstairs in our fellowship room, Gamblin Hall. We meet in a beautiful building in the hills of Mt. Rokko, overlooking the city of Kobe. Nearest stations are JR Rokkomichi, and Hankyu Rokko. We offer a free shuttle service from the stations. Click here for shuttle instructions. ​Click here for driving/parking instructions. 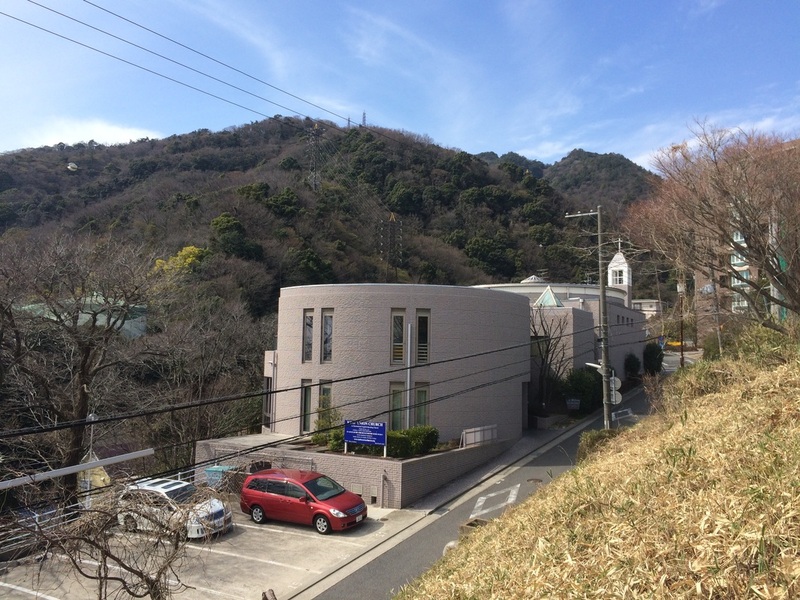 © Kobe Union Church. All Rights Reserved.